These lines from Balthasar’s song in Much Ado About Nothing have always cracked me up. 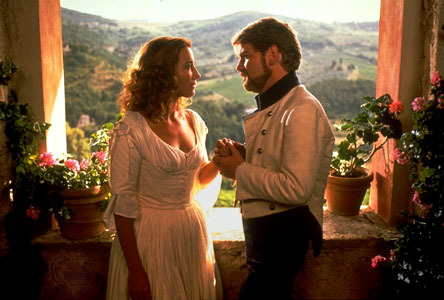 Kenneth Branagh’s wonderful 1993 film adaptation begins with Beatrice (played by Emma Thompson) reading these lines to her picnicking friends on a sun-drenched Tuscan hillside. Why can’t I be there? After several chilly, rainy spring days here, there is nothing much that looks better than drinking wine on a sunny Tuscan hill while listening to someone read silly poetry. Yes, please. I have to make do with living vicariously through film. It’s okay. This film is so much fun. It’s light, it’s playful, it’s full of wit and charm. I love this movie. The backdrop is no small part of the charm here… seriously beautiful landscape in every direction. Fantastic gardens and a wonderful Italian villa—the perfect locale for flirtations and intrigue. Why can’t I live there? It’s beautifully acted, for the most part. 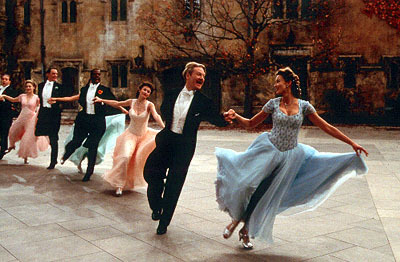 There’s witty chemistry between Beatrice and Benedick (Thompson and Branagh were married at the time this movie was filmed). Hero (Kate Beckinsale) and Claudio (Robert Sean Leonard) are a sweet young couple. Denzel Washington is good as Don Pedro. I also enjoy the small, but pivotal, part of Margaret (played by Imelda Staunton, who keeps showing up in great roles in these films… the nurse in Shakespeare in Love, Polly in Shakespeare Retold’s A Midsummer Night’s Dream). I also enjoy glimpses of Emma Thompson’s future face (her mother Phyllida Law plays the small part of Ursula, and I think the two look exactly alike). 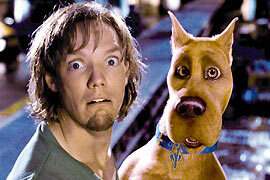 I’m not a fan of Michael Keaton’s weird Dogberry character. He’s so gross. Funny, yes, with the silly mannerisms and pretend horses clopping away. But he’s too over the top for me. I also dislike Don John, as played by Keanu Reeves, but that’s my personal issue; Reeves is permanently typecast in my mind as Ted on an Excellent Adventure. He always seems uncomfortable with his lines and well, unable to act. It’s just my personal issue with him. You know what really surprises me? This film received no Oscar nominations and very few awards of any kind (nominated for a Golden Globe… oh and Reeves was nominated for a Razzie for Worst Supporting Actor—I guess I’m not alone!). It’s too bad it was overlooked for awards; I think it’s really well done. Romeo and Juliet and A Midsummer Night’s Dream provided me with many film adaptations, but I’m afraid the pickins are getting slimmer as I move through the reading list. 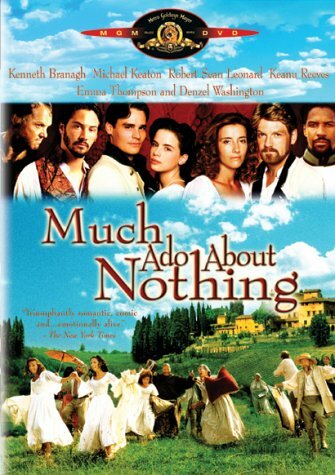 I have only a handful of film versions of Much Ado About Nothing to watch. Actually, two versions I’d really like to see seem to be unavailable. If anyone knows how to get the original (maybe unreleased?) BBC version with Michael York as Benedick, I would love to see that. Ditto Zeffirelli’s version with Maggie Smith as Beatrice? I plan to watch Branagh’s version again after I read the text. Of course, it has nothing to do with wanting to look at the Tuscan countryside some more. Why can’t I be there? I’m thinking ahead about which film versions of each play I should watch. Please give me your suggestions. The Wikipedia article looks pretty good, so I’m using that as a starting place. I think I am going to focus on the more recent films, although I will consider going back further (like the 1960s and maybe even the 1950s) when there are films that are really must-sees (like West Side Story and Zeffirelli’s Romeo and Juliet). I plan to watch all the BBC productions. 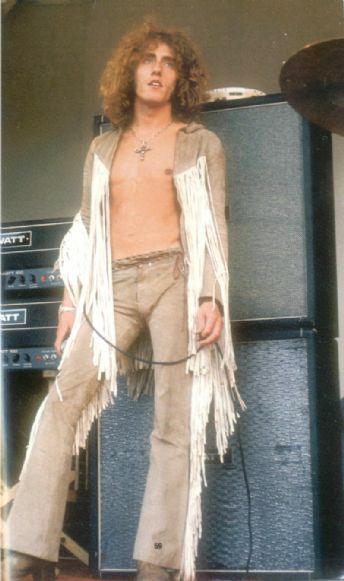 I’m looking forward to seeing Roger Daltrey in A Comedy of Errors! I’ll watch Franco Zeffirelli’s films and anything Kenneth Branagh touched, as well. So, I feel like I have a solid foundation on basic productions. Any other suggestions? What about the old ones directed by Laurence Olivier—are they good? What else? Help me. 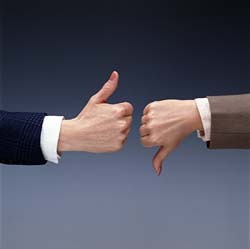 I also want suggestions for good or interesting adaptations. Thanks to Renee who commented about loving adaptations like West Side Story and listed several others. Renee and everyone—help me fill out my to-watch list and please warn me away from losers.